i'm always on the look out for fun new creative ideas. so, when stencil revolution reached out to me about trying their stencils, i was on board right away. what you can do creatively with stencils is endless! since i love baking and cake decorating, my mind immediately went to the idea of using a stencil to decorate the top of a cake. ryan and i love to decorate cakes elaborately with hand-piped designs and fondant. however, the reality is that sometimes you need to decorate a cake in a pinch and you simply don't have the time to spend hours decorating in the kitchen. stencils are the perfect solution! over the weekend i made a simple one-tiered cinnamon walnut cake and i covered it in basic vanilla buttercream. all i did was place a stencil on top and dust ground cinnamon over the stencil. i gently lifted the stencil off the cake and the result was a cute image that only took me seconds to make. so easy! 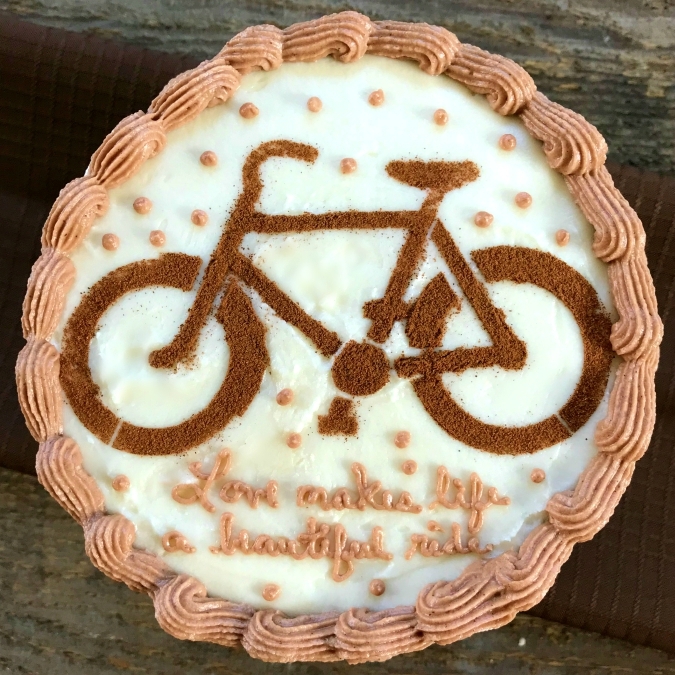 for this cake, i chose to dust the stencil with ground cinnamon to play off the cinnamon-walnut flavor of my cake. however, you could also use cocoa powder or powered sugar too. stencil revolution offers so many different stencil patterns. my favorites are the bicycle, compass, world map, and nyc skyline. their company is based out of florida and their community of expert artists offers the very best in laser-cut stencils. one of my favorite things about these stencils is that they are reusable! they are very durable and can be washed easily. 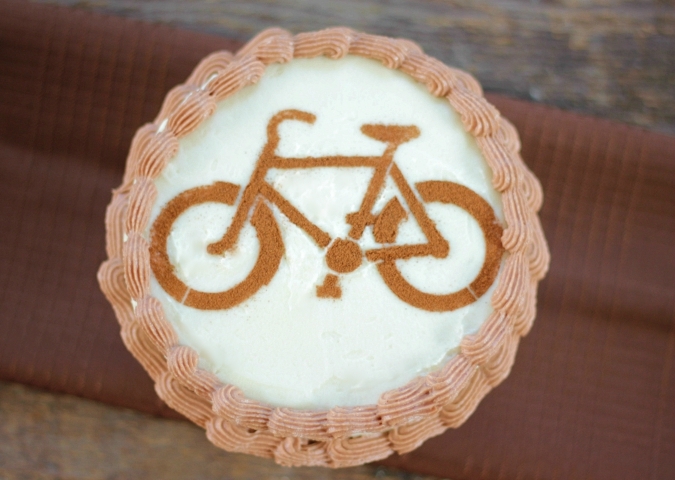 as soon as i was done decorating my cake, my bicycle stencil washed off easily with soap and water. 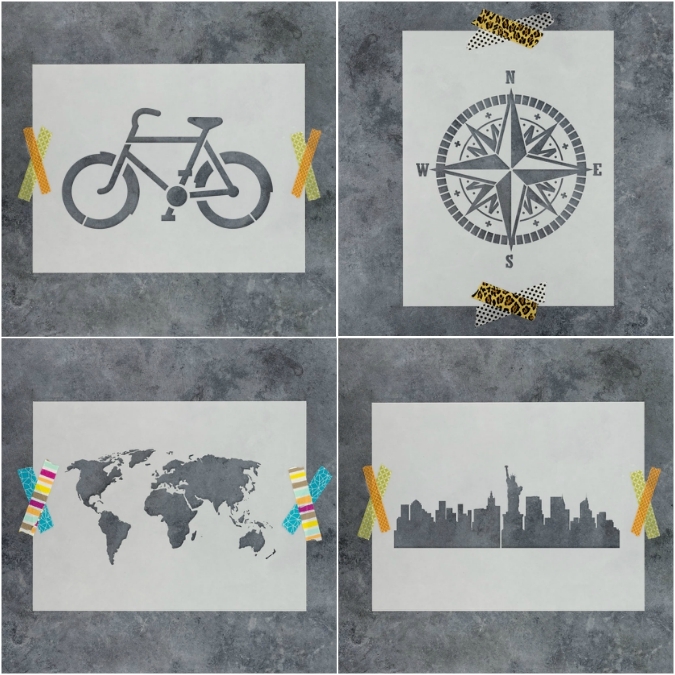 i can't wait to use my compass, world map, and nyc skyline stencils on my next projects! in addition to using them on cakes, i look forward to decorating gift bags, wrapping paper, and t-shirts with them with some paint! Those are very nice stencils. I have seen some stencils work that you can not make out the design. But these are large enough and makes a pretty picture. That cake is really clever and I bet delicious also. I like that idea - a much easier way to decorate a cake!